Free Abyss Web Server X1 Download from FilesPack.com! Despite its small footprint, it supports download resuming, caching negotiation, logging, CGI/1.1 scripts, FastCGI, ISAPI extensions, Server Side Includes (SSI), ASP.NET (on Windows), custom error pages, password protection, URL rewriting, IP address control, aliases, custom MIME types, index files, custom directory listings, anti-leeching, and bandwidth throttling. With Abyss Web Server X1, hosting your site and your PHP, Perl, Python, ASP, Ruby on Rails, or ASP.NET Web applications is a matter of a few minutes. 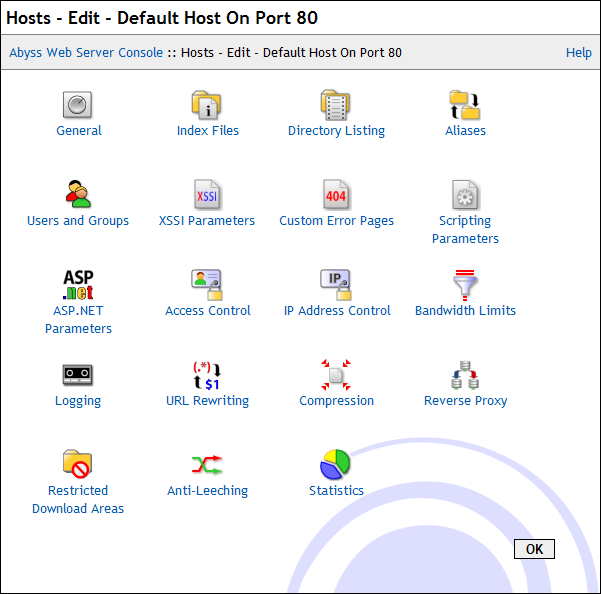 You can free download Abyss Web Server X1 2.4 now.